Anyone that knows me and knows where I live, understands the constant battle to try and be self-reliant. I live in an area where the growing season is very short, the temperatures are chilly at night even in the summer months, and as wonderful as the abundance of wildlife is to watch, they raise much grief in the garden. They also know that my husband and I are very much opposed to waste. Why buy something when something someone else was discarding could be repurposed. This is a lifestyle from our childhood that has carried over to our adulthood. Being industrious because you were poor is now fashionable green living. For Mother’s Day this year I got the best gift ever. 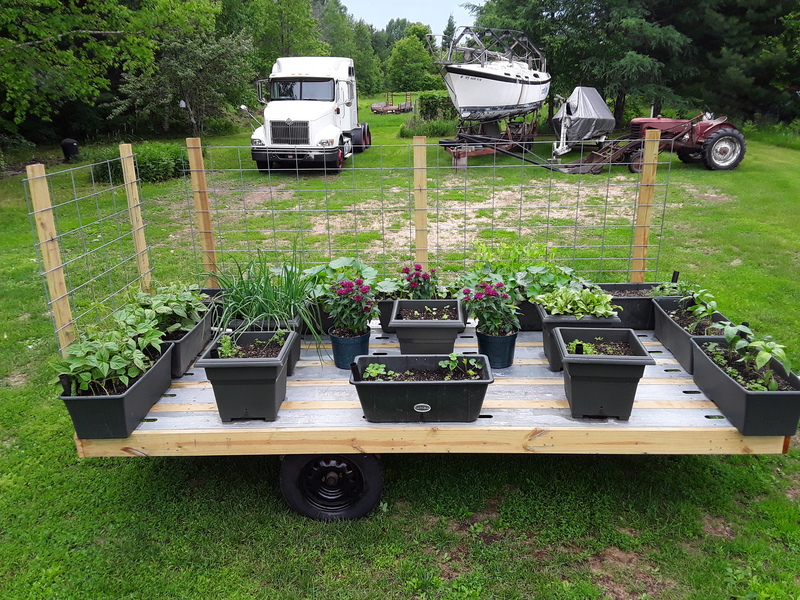 My husband took an old rusty boat trailer and some galvanized construction headers that had been discarded at a construction site and some cattle panels and repurposed them into a mobile garden. I’ve been using Earth Box self- contained planting systems from Earthbox.com for many years now to grow my lettuces and herbs and such but once they are full of soil they are really heavy and hard to move to mow around and if we got hit with frost or hail in June or even July it was a scramble to get everything covered. 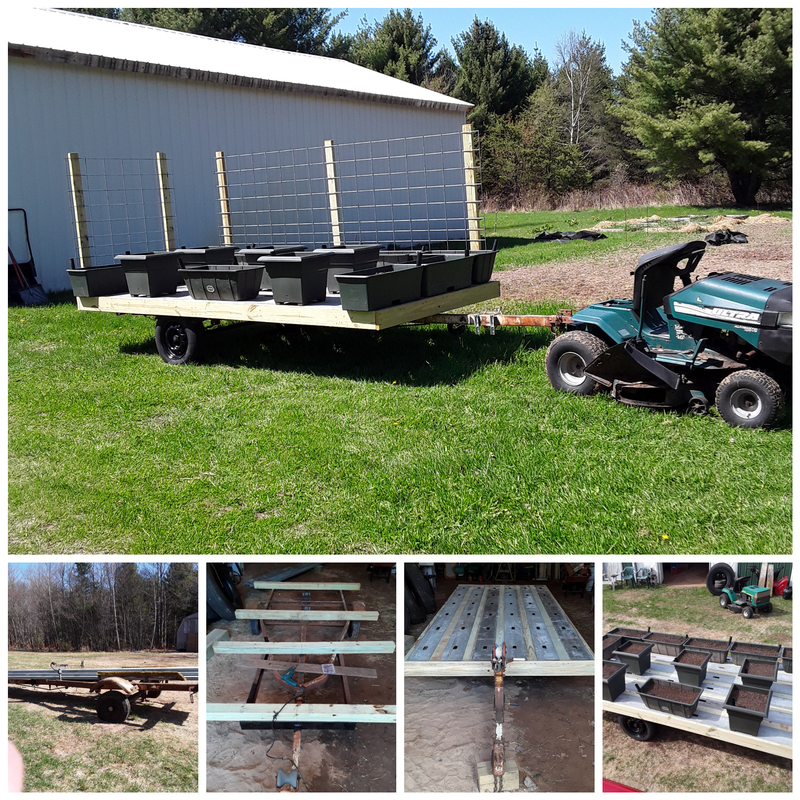 This mobile garden is 6’ wide x 12’ wide and has 15 Earth boxes which will provide us with the fresh produce we will eat all summer. There won’t be enough for all my canning but I’m sure that we will make something larger if this pans out. 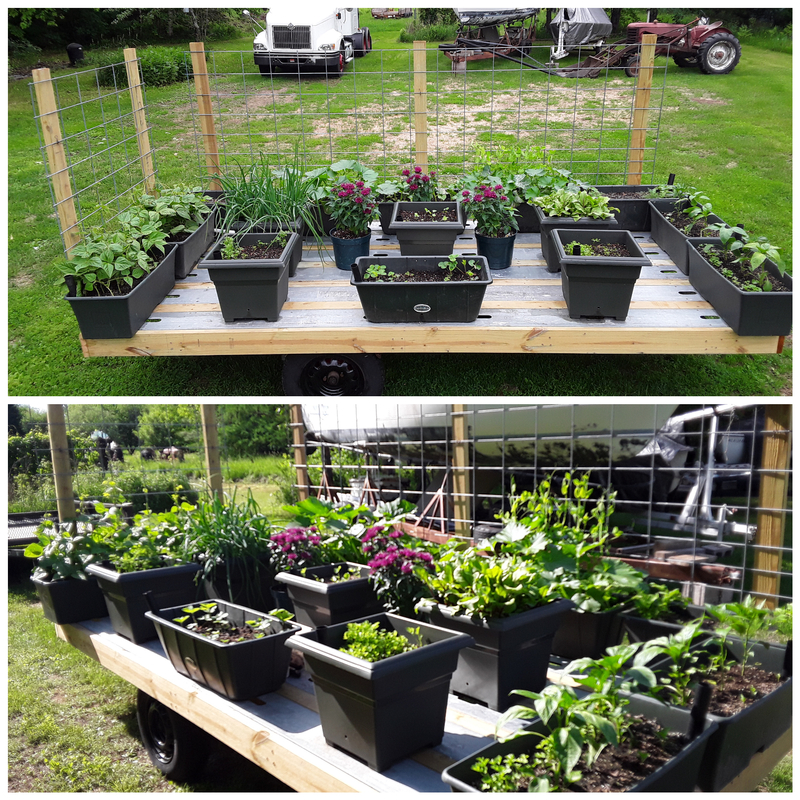 So far the benefits of the mobile garden are many. I planted a month early since I was able to pull it into our pole barn to keep it out of the frigid temperatures. I’m hoping to extend the harvest season the same way. 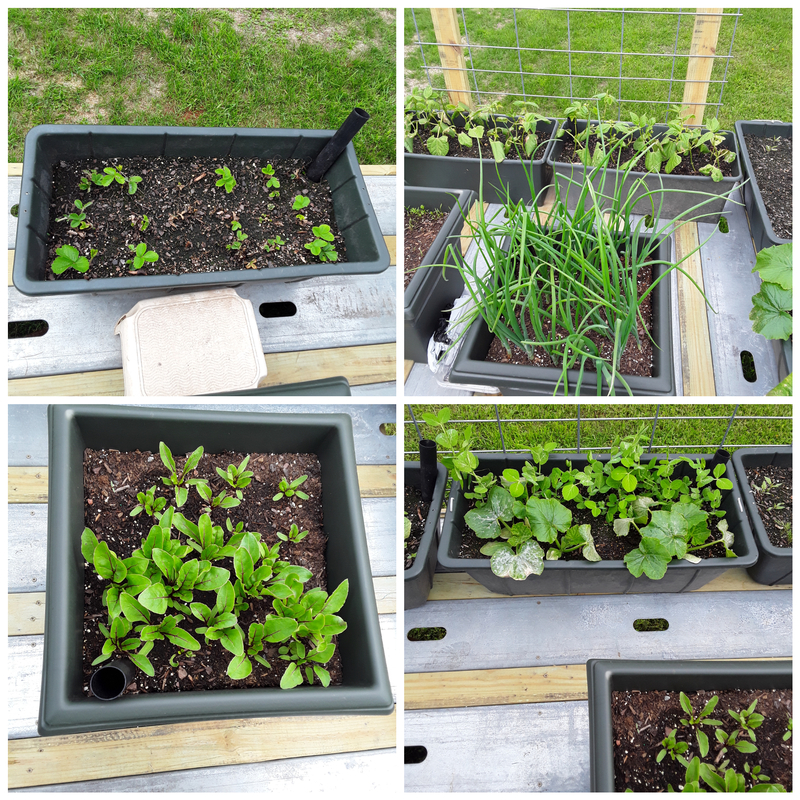 The Earth Boxes each have a water reservoir so I don’t have to worry about under or over watering and there is almost no water wasted since it all goes to the plants. I don’t have to string out hoses since I can take the garden to the water source. I was able to plant the seeds, and pulled the few weeds that grew without stooping over. No bending to harvest either. If bad weather, strong winds or heavy rain is in the forecast, pull it into the pole barn. Best of all I pull it in to the pole barn at night so it’s not a salad bar for the deer and other critters. 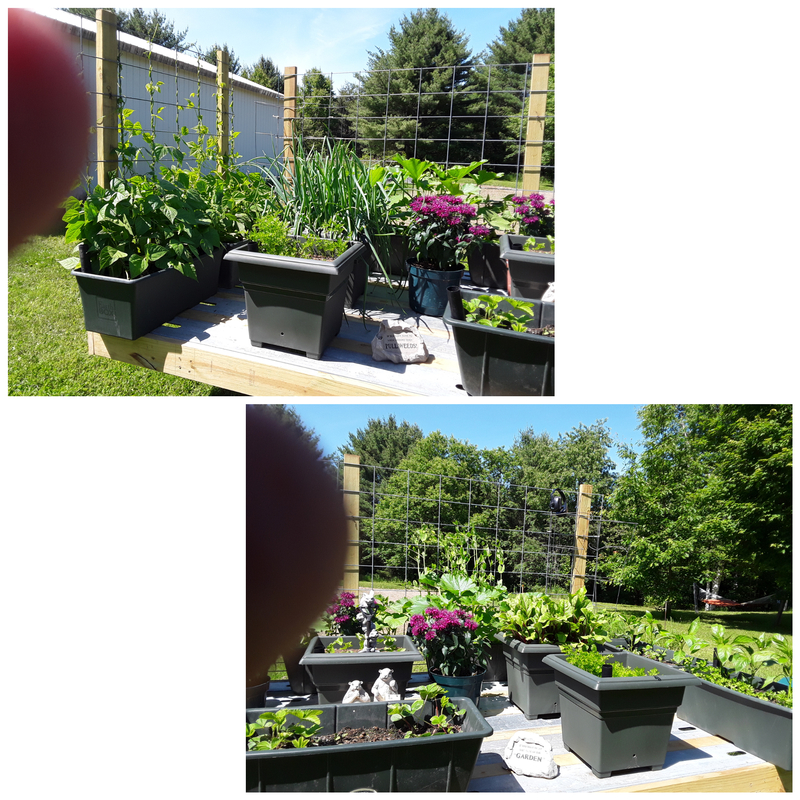 The climbers were planted next to the attached cattle panels, and I used companion planting to maximize my limited space. 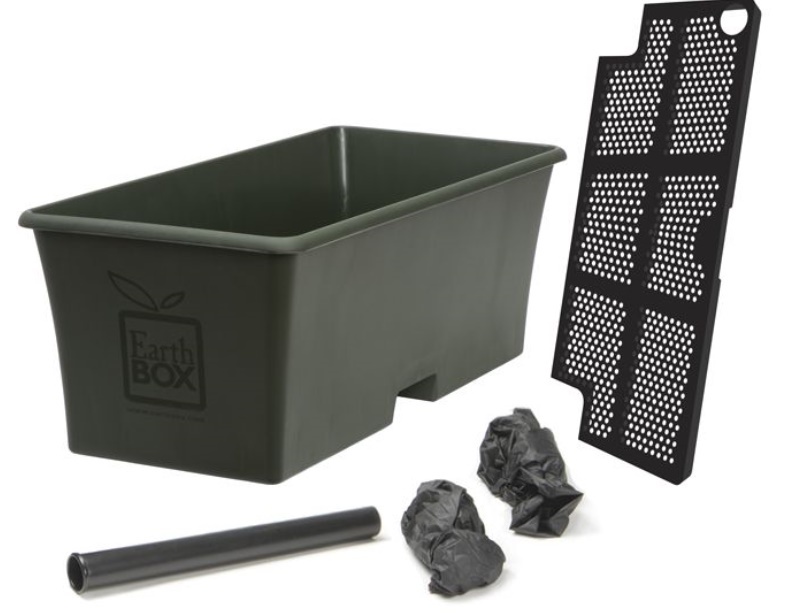 I have special deep Earth Boxes designed for root crops. 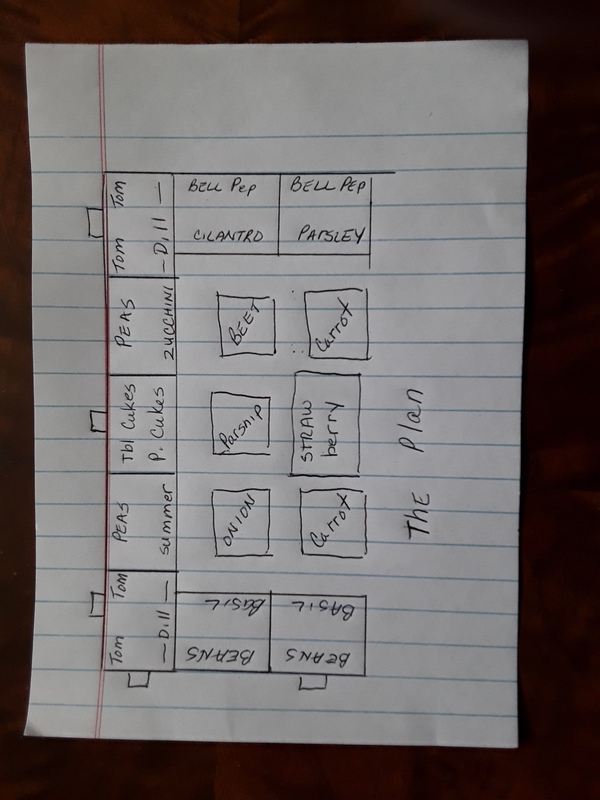 We have pole beans, 2 varieties of tomatoes, Dill, snap peas, summer squash, table cukes and pickle cukes, zucchini, onions, parsnips, beets, red, yellow and green bell peppers, cilantro, parsley, basil, rosemary, 2 types of carrots and strawberries. I added some bee balm to attract pollinators. This is 6 weeks out and everything is starting to bloom nicely. Stay tuned for a update on the harvest…be green and peace out! UPDATE: So far the harvest is awesome and much earlier than normal especially since everything was started from seed directly sowed outdoors. I will have to rework my companion planting, though as my squash shaded out my peas so I was unable to get a second bloom from the peas. NEXT Project? 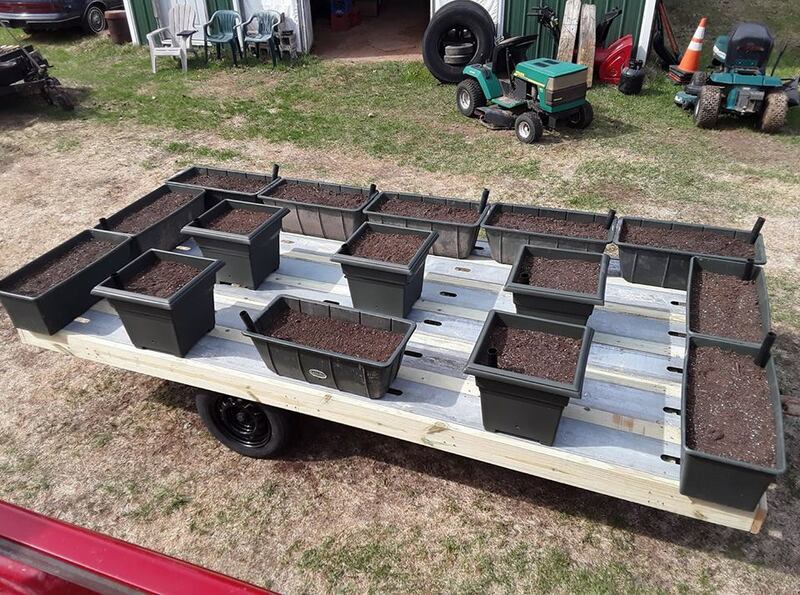 How about a mobile greenhouse!! That is the neatest thing. Great idea. Love you! !